Your telecommunications equipment, computers and other electronic office devices will benefit from having a surge suppressor or UPS between them and the often irregular power supply that come from the wires in your office walls. Premature failure, computer glitches, burned out motors and lost data are some of the symptoms that result from power quality problems that come from the utility or are generated in your own building. According to the Copper Development Association, the average office building experiences 106 problems with power quality in a single month, including brownouts, power surges, transients, voltage sags and spikes as well as harmonic interference. Can your business cope with the loss of data and downtime that might be caused by power problems? Preventative measures are the best way to deal with power quality problems. Telephone Magic Inc. sells products ranging from basic surge suppressors to power protection equipment used for networking, VoIP and other telecom devices. All business phone systems should have a power protection device installed. Click on the links below for more details on the models we carry. 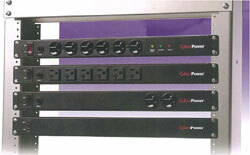 These heavy duty rack mount power strips are great for any rack mount application. 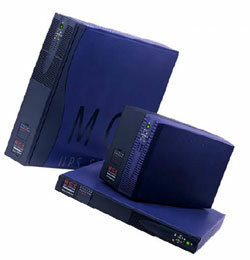 Selected models provide surge protection and filter voltage. With circuit breakers to provide overload protection, these are perfect for any crowded equipment room. The ultra-compact Utility Series is ideal for entry-level computer systems. 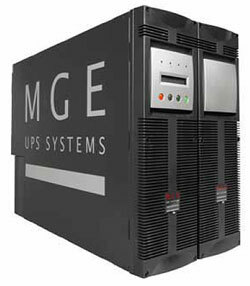 Dependable and affordable, these UPS models include their own software and are an exceptional value! The Utility Series of UPS is available in both Tower and Rack versions. Pulsar Evolution Rack and Tower UPSs offer network administrators the high-availability power solution they need in the most compact footprint on the market. With its optional extended backup times, the Pulsar Evolution offers superior power protection for the next generation of networking applications. 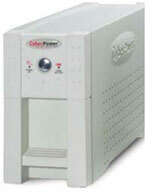 The Pulsar EX RT models of UPS provide superior on-line solutions from 700 to 3200 VA in a high power density package. 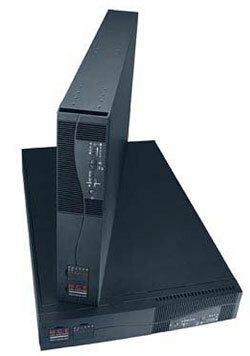 This flexible unit can be used in a Rack (2U) or Tower configuration. True on-line conversion technology provides the maximum availability of your critical systems. Any interruptions, surges or other poor quality power conditions are totally removed while a stable, noise-free pure sine wave output is supplied to your equipment. The Pulsar EX RT High Voltage models of UPS provide superior on-line solutions from 5 kVA to 11 kVA. These flexible units can be used in a Rack (6U) or Tower configuration. 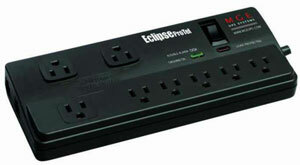 UPS monitors the power from your wall outlet to your devices. When the voltage from the wall drops below the normal level (commonly called a sag or brownout), these units will transfer to batter back-up to maintain the proper voltage. If your voltage briefly increases beyond normal (surge), an off-line UPS will also transfer to battery back-up. The inverter waits "offline" until needed to convert the battery power into useful electricity. Units transfer in 6 ms or less. They are usually the least expensive. Similar to an off-line UPS, but during a sag or brownout, instead of transferring to battery back-up, the line-interactive system uses the inverter to regulate the voltage and boost it to an acceptable level. During extended brownouts, it operates continuously without draining the battery supply. Likewise, during surges, a line-interactive system will fade or trim high voltage. In the event of a complete loss of power, the UPS will ultimately supply power from the battery to maintain proper voltage levels. Many units transfer in 4 ms or less. 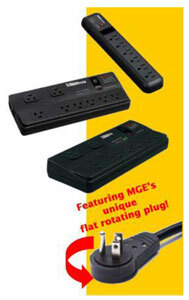 These provide the highest level of power output and voltage regulation. The system continuously converts all of the AC power from the wall outlet to DC and then uses the inverter to convert back to AC power for your loads. Since the inverter is "on-line" all the time, there is no transfer time to battery during a power failure. An on-line system is especially useful for sensitive equipment, critical devices and generator applications.